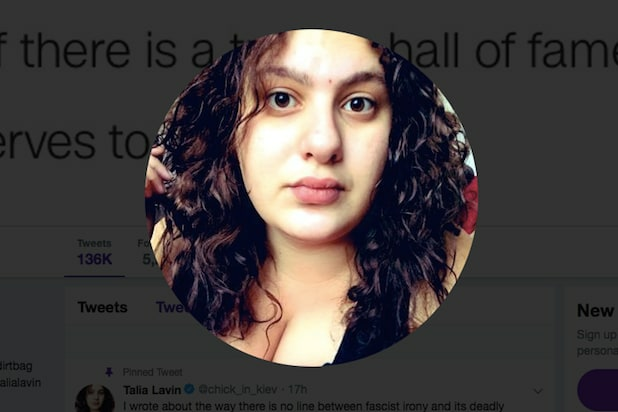 After leaving the New Yorker last June, Lavin was hired by the liberal media watchdog group Media Matters for America less than a month later to focus on “far right extremism.” Though her LinkedIn profile lists that she currently works there, a spokesperson for the organization confirmed that she was no longer employed there. An additional person with knowledge of the matter said she left several months ago. Lavin’s career promptly blew up last June after she accused Justin Gaertner, a wheelchair-bound ICE agent, of having a Nazi Iron Cross tattoo over his left elbow. Lavin made the charge in a tweet after viewing a photo of Gaertner online. She later deleted her tweet after she said a number of people responded and informed her that the tattoo in question appeared to be a Maltese Cross — a symbol commonly used by members of the U.S. Veterans of Foreign Wars. In a Twitter thread, Lavin soon announced her resignation from the magazine and apologized to Gaertner over the error. She also criticized ICE, saying it was not “acceptable” for the agency to attack her personally over her mistake.